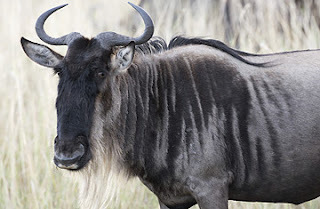 Every year the gnu starts out with the hopeful intention of being able to organise Vic & the Sect...........and every year it lasts about a week. 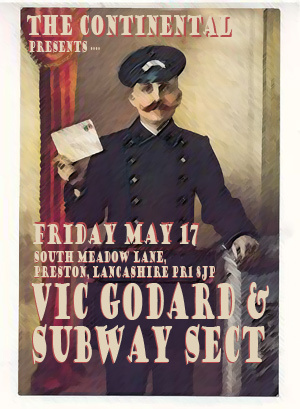 This video by Trigger is the first in what we hope will be a series of 'Tales from The Sect', hopefully amusing anecdotes of life on the road with Vic and Subway Sect. 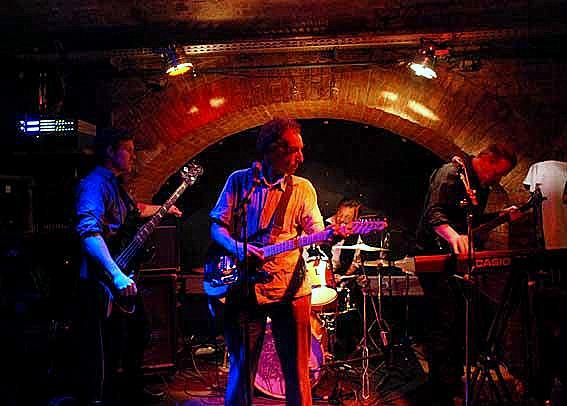 To set the scene it's 2007 and it's the 1978 Now line up with Leigh Curtis on guitar, Trigger on bass and Mark Laff on drums. 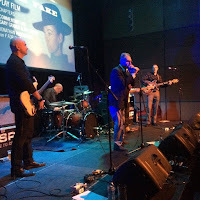 Below is the whole gig the following night in Edinburgh courtesy of Murray Ramone. Going through the receipts (Tax Return) led to more recollections and reflections of things that happened over a year ago. April 2011 was just after Dan Ashkenazy ( previously in Bitter Springs) finished his temporary stint on bass with the Sect, sorry to see him go, and Yusuf B'Layachi (Dear Thief and B'Layachi)) was welcomed in to the fold and by April 2012 Paul C and Myers had bedded in, bringing a northern soul flavour to the live set. There were 5 different live line ups in 2011 including guest appearances from Sect Alumnus Trigger and Joe McKechnie (Factory Star and Blue Orchid amongst others) and Vic played with the Sexual Objects. 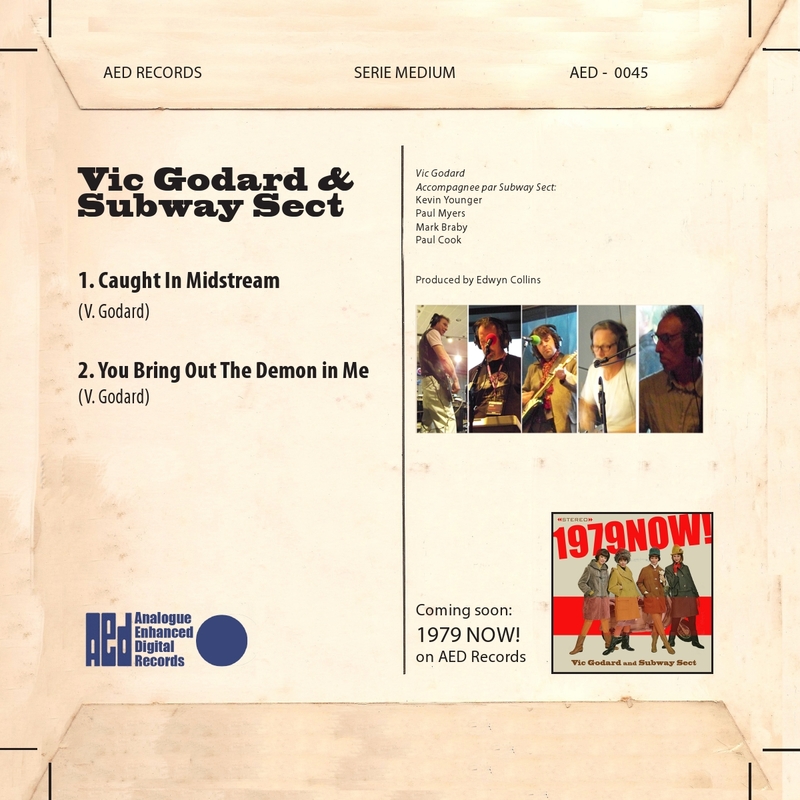 Wryly noted on the 'best laid plans' front that like this year, 2011 & 2012 began with plans to record and release 1979 Now, being laid back about it now- Vic's renamed it 1979 Whenever.As long as it doesn't become another ' lost album '-oops forgot you have to record an album for it to be lost. 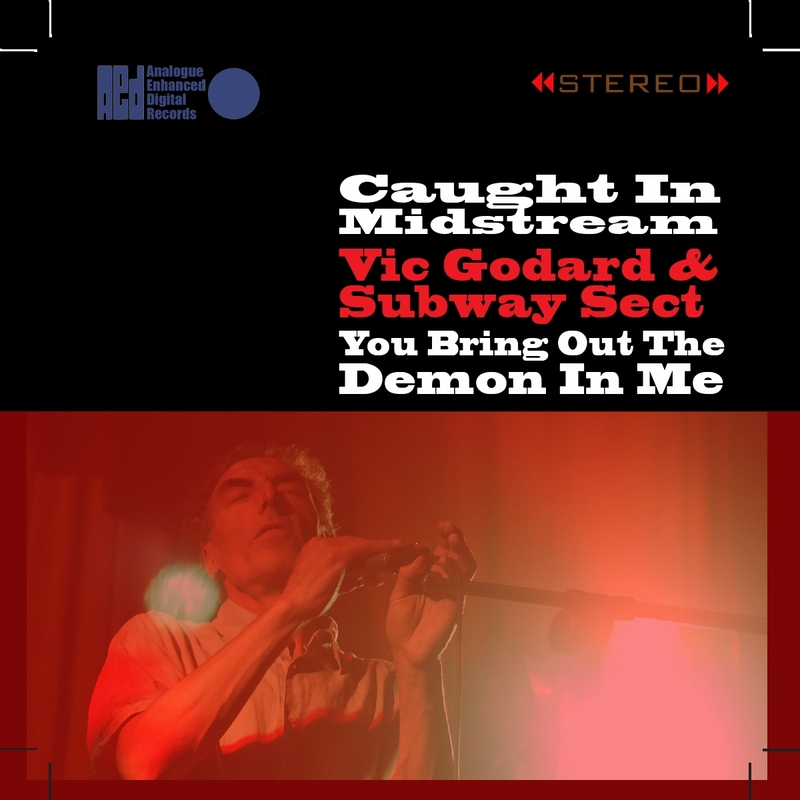 At least this year starts with 4 songs recorded and mastered and Caught in Midstream and You Bring Out The Demon In Me are being released as a 7" on Aed Records, due out .......not sure but hopefully soonish. Fantastic cover by Andrew Shaw. Filing the Tax Return gets later and later every year. Used to get done by September, then when on line filing came in was determined not to leave it until the last minute which lasted two years of symbolically filing on 31st December. It is a stressful process at the best of times but this year Vic offered to help and the gnu inexplicably and rather foolishly said yes please. By the third day of sorting, re-sorting, counting and recounting,etc, the gnu was pulling her hair out and Vic deciding that discretion being the better part of valour disappeared under the head phones to work on his two new Latin numbers until it was safe to come out. Thankfully over for another year. 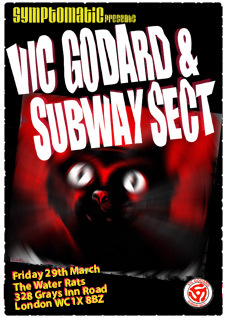 It is going swimmingly on the gig booking front with some more great posters by Andrew Shaw-see some more of his creations at: www.vicgodard.co.uk which is itself an a Shaw Design. 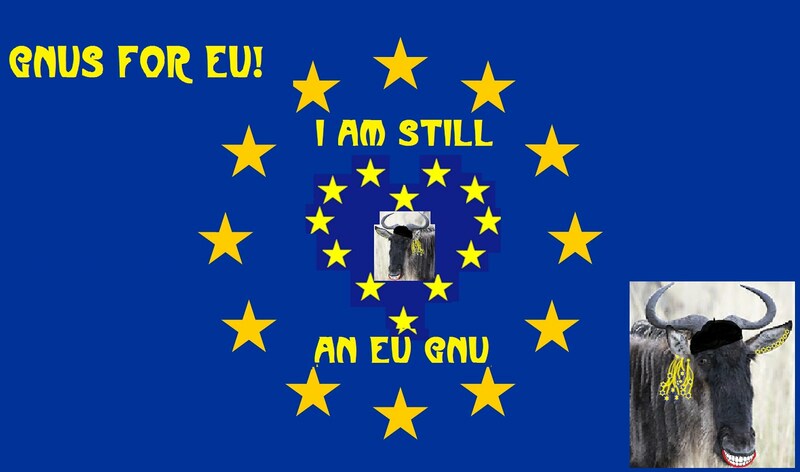 The Symptomatic one is the gnu's favourite design so far, so expect a T shirt is coming soon. 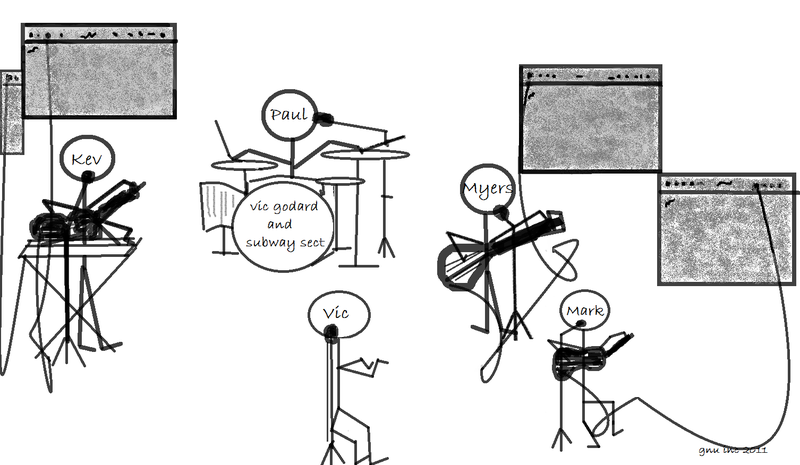 Then came the hopefully singular gig postponement of 2013. 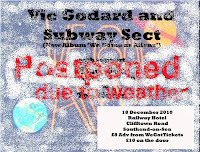 The only other gig Gertie can recall the Sect themselves having to postpone in recent years was December 2010 when the weather intervened at the last minute-reminds me haven't re-scheduled yet!! You obviously want to avoid cancellation whenever possible, whatever obstacles arise and as a result there were some great one off shows with one off sets of songs chosen specifically for the particular one off line ups. 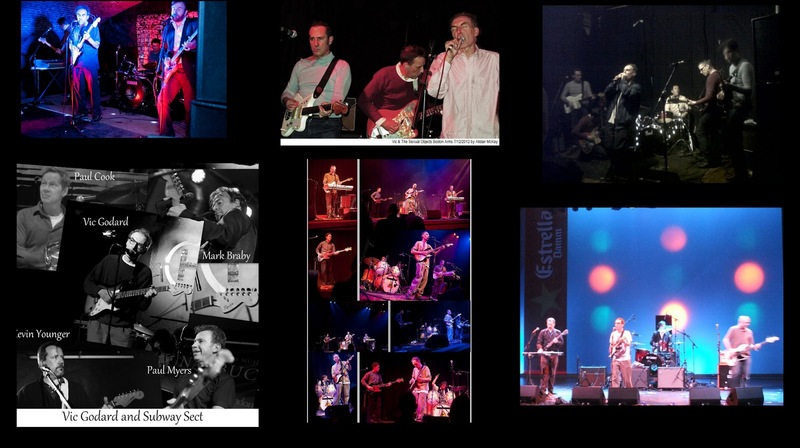 Big Up to ''The Subway Sect Stalwarts'' Mark and Kev, for taking it like a gnu whatever life on the road with the Sect throws at them, eg 04/06/2011 Greystones Sheffield when they and Vic did the gig as a trio with Mark swapping around from drums to bass, when Vic would bring into play his trusty old drum machine, working it with his foot while playing the guitar and Kev moving, swiftly, from bass to guitar to keyboard and back throughout the set. Went down a storm. Vic is lucky he's got access to such a talented bunch of musicians and that what ever the Sect line up they always put on a damn fine show. Ruminating with Vic over the oldish ground' reminded that- Vic and the many layered Sect(s) covered a LOT of ground and played an eclectic mix of venues and places between April 2011 and April 2012 including trips to Vienna, Porto, Aveiro and Coimbra, Vic, Barcelona, Petit Fays, Brussels and Lyons; travelling by train is much more enjoyable than by car or plane but very expensive, am now getting into the split ticket thing even though it's a bit of a pain. ( ridiculous that it cost over £1000 for 5 to go to Lyons and back by train, ok was half term but was Feb); spent a lot of time at Doddington services, Beds, also stopped at many more off the A1, always the preferred route north ; the gnu missed quite a few gigs, lots of reasons; le grand mal took its toll, clades odiosus, dogged the band's footsteps for over a year, casting a general pall of doom gloom over events. 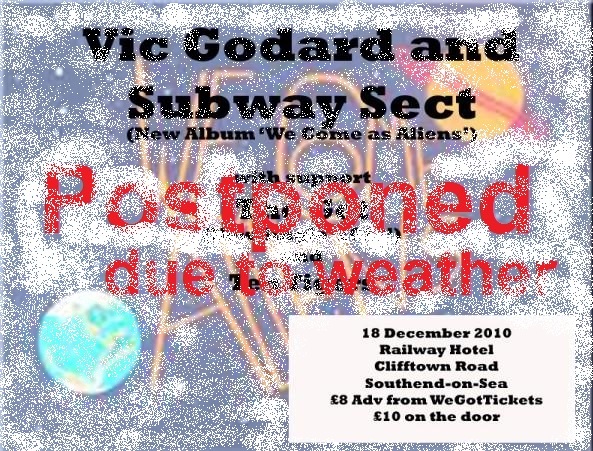 By late 2011 it had thankfully run it's course, sighs of relief all round; Vic doesn't do many home gigs south of London, only the Spinning Chilli one in Brighton. In fact other than the always enjoyable Spinning Chilli gigs can't recall Vic playing south of London since early 2000's. 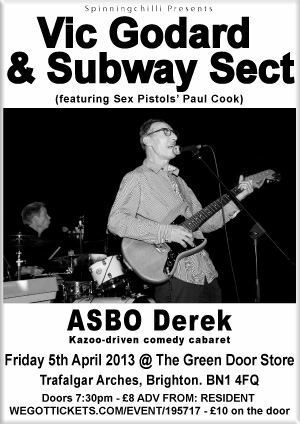 (Vic and the Sect are back in Brighton on Friday 5th April-see left and above). Heath Court Hotel Newmarket- great position and room had views over a stable yard but didn't meet my basic clean and helpful rating, completely lost me with the sticky bedroom carpet, yuch. Next time would stay outside of Newmarket. The Hilton Dundee- great position overlooking the river Tay, helpful staff, very clean and indoor pool. Storrs Hall Lake Windermere- stunning, the grounds border the lake. Very attentive staff and good food. Went in winter so not sure what it would be like once the season gets going. Look out for offers! Lumley Castle Chester le Street- stunning setting overlooking The Riverside ground at the front and with the Wear running through the back gardens. Welcoming staff, very comfy and very good food. 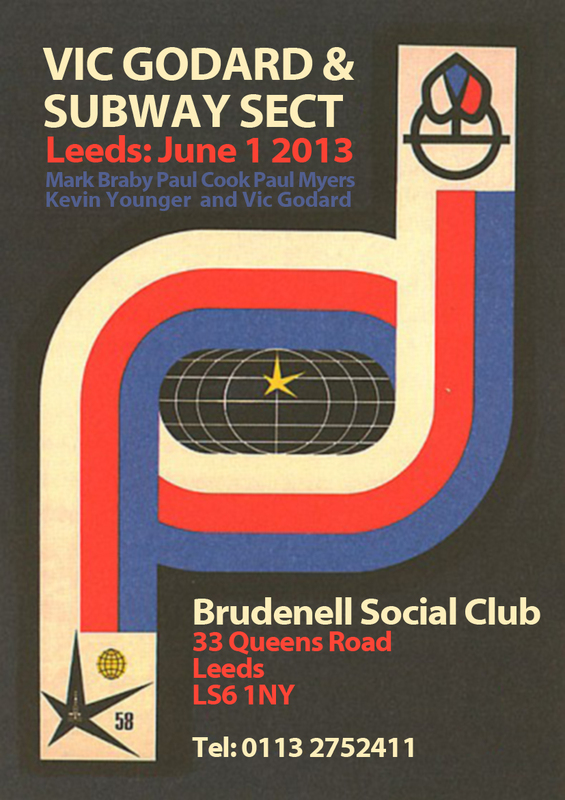 Only booked one place so far this year- Headingley, overlooking the ground, for the Brudenell gig-will report back. June Glasgow-Reprise of Glasgow Tea Party set with James Kirk and Mick Slaven on board. Look out for the March issue of Uncut, big in depth piece about Vic, bit miffed there's no mention of gnu inc.
Also Vic's doing a Resonance interview with Victoria Yeulet in March, details to follow. It All Starts in Torino! 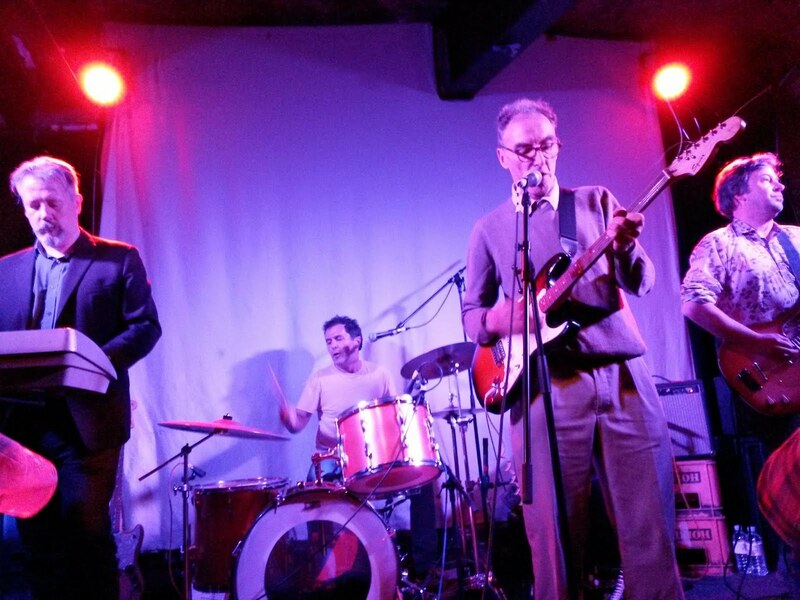 Another Cool Drummer Comes Aboard, Dave Morgan joins Vic, Kevin Younger and Mark Braby. 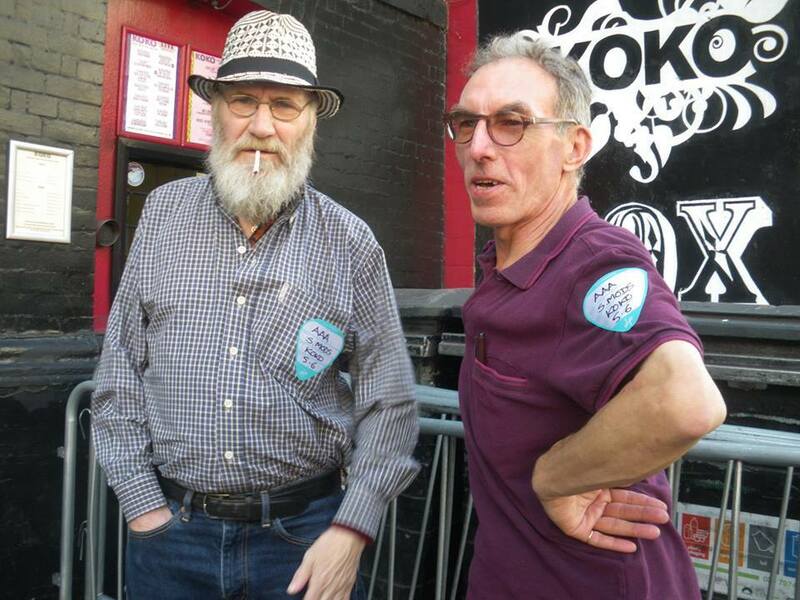 Gnu AND Gert Reporting on Sleaford Mods/Music Machine/Koko;Jock Scot;Brighton Love Fest,Debut of The Stool Pigeons, Sound of Young Scotland film 'Big Gold Dream',VICLEKA, Live & Rare Vol 3,Vic Stymies Costa,loads of vids & pics; Recommendations, The Clangers, The Avengers and more!